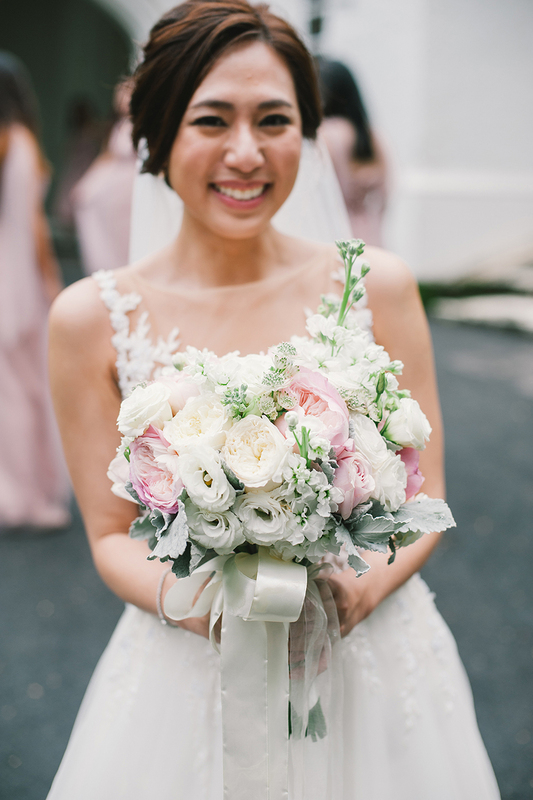 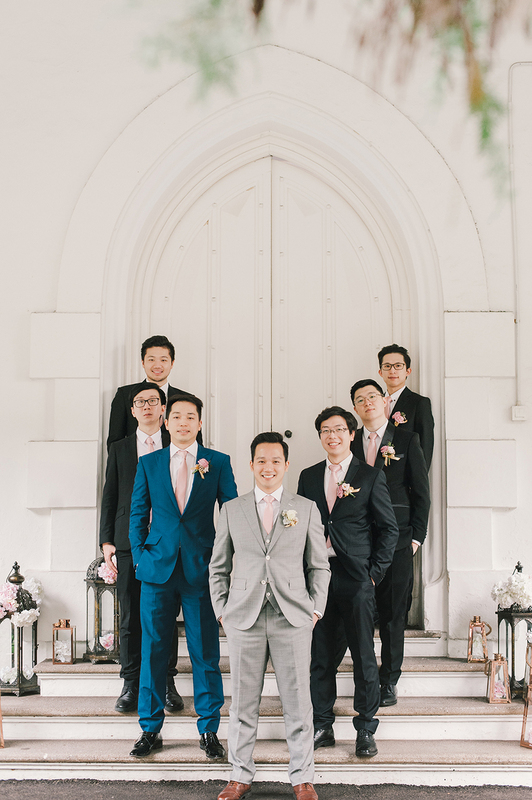 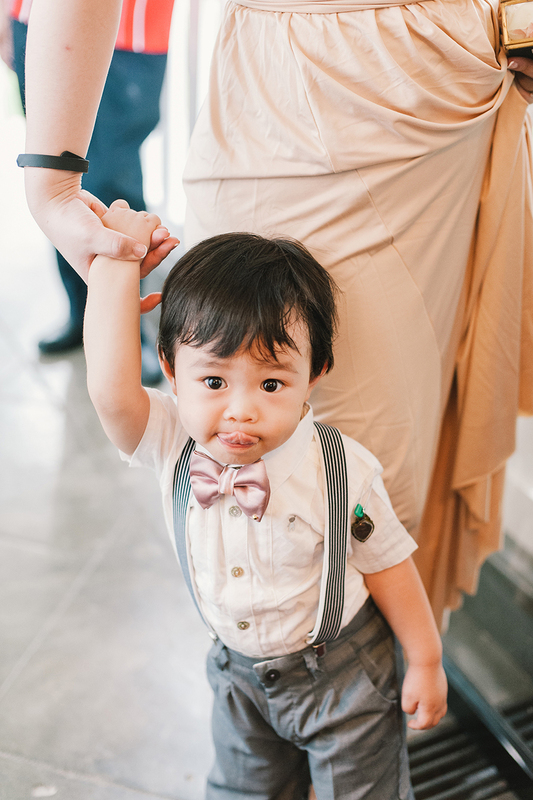 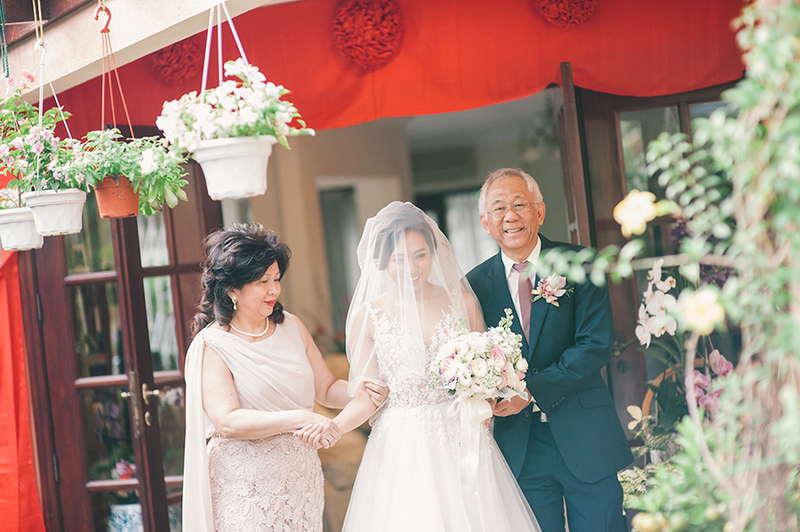 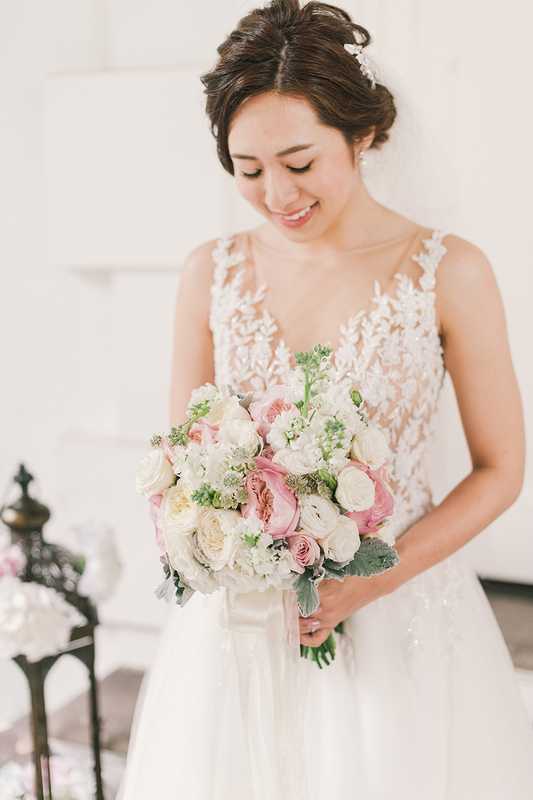 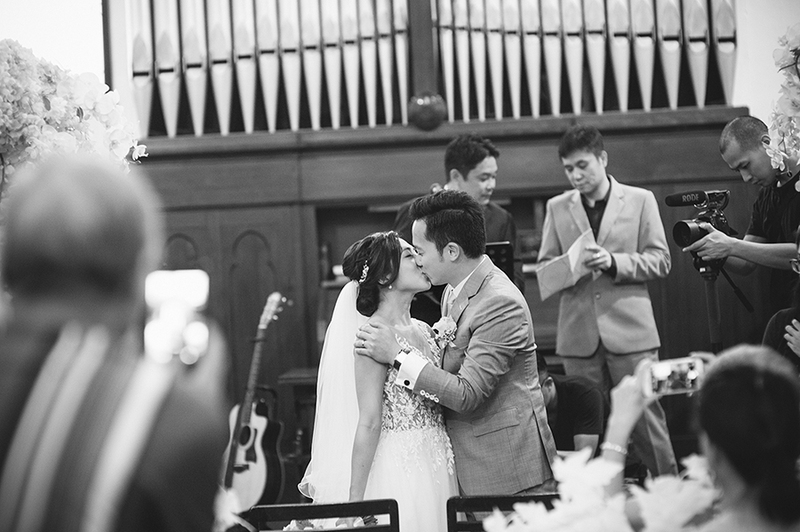 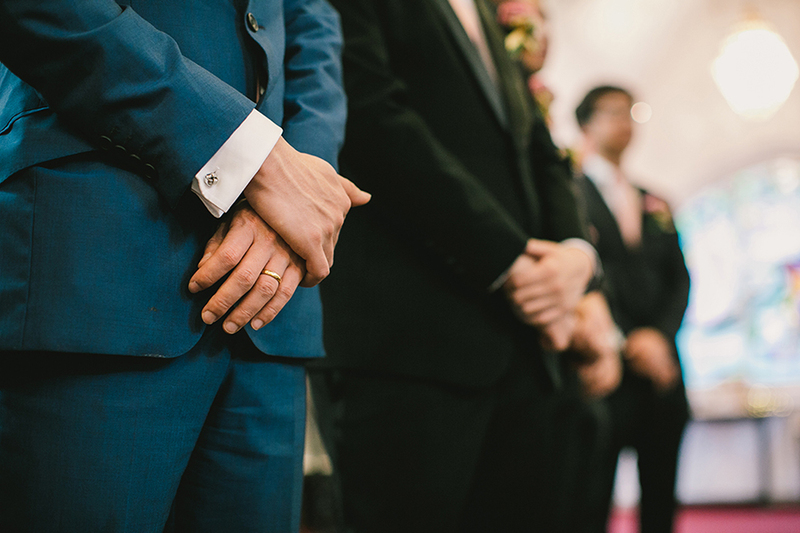 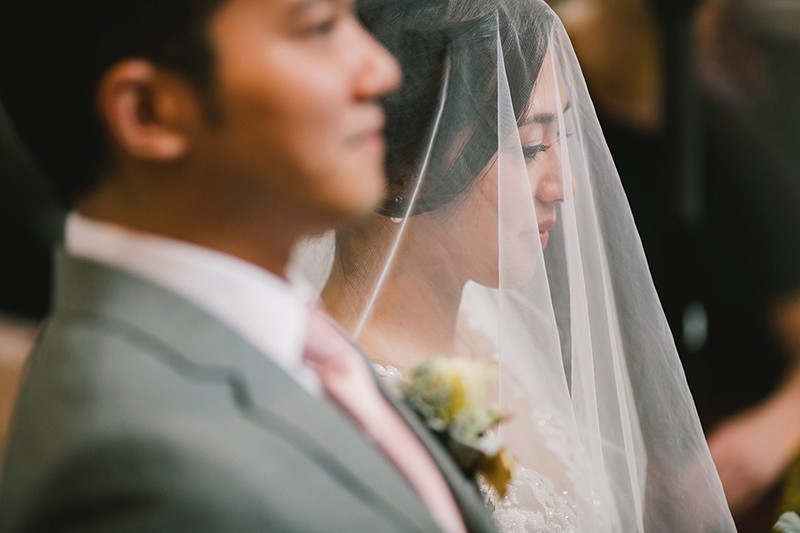 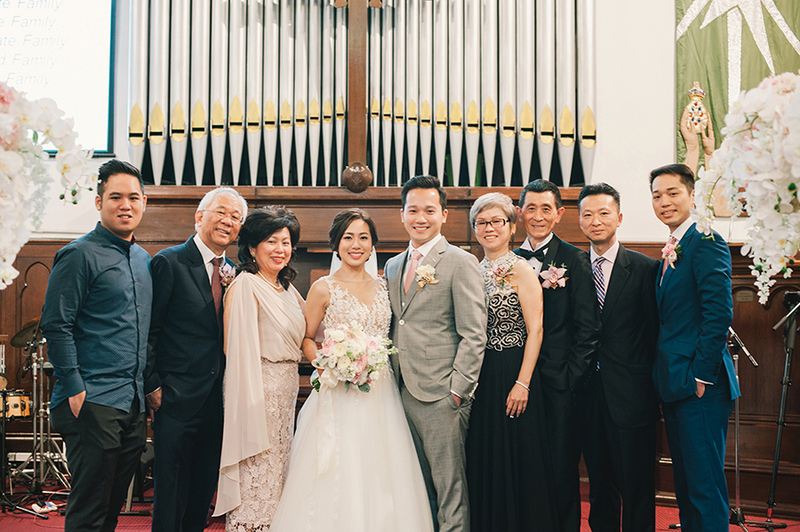 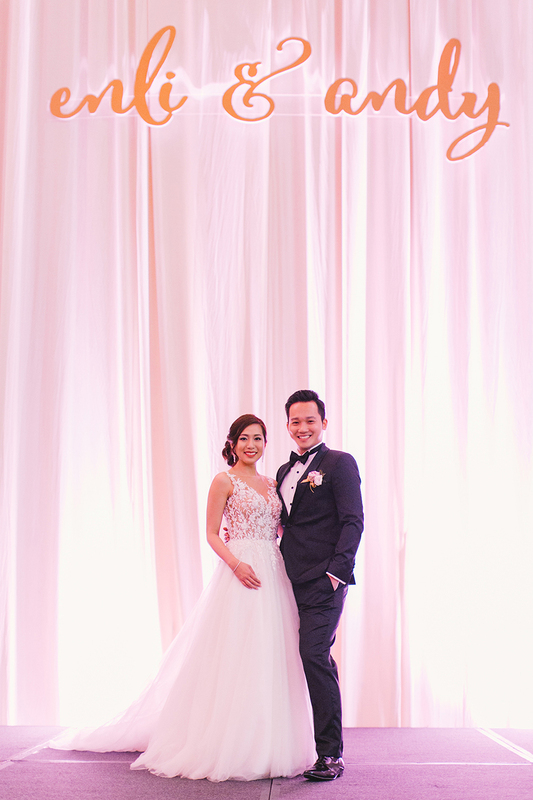 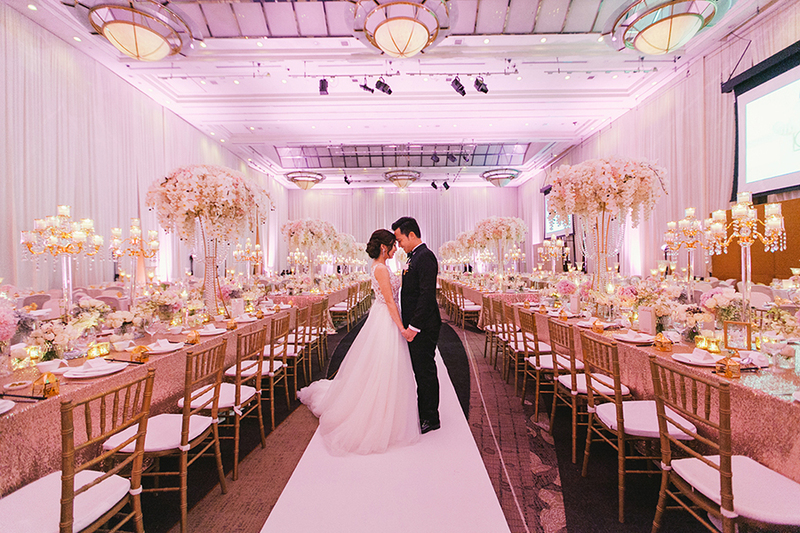 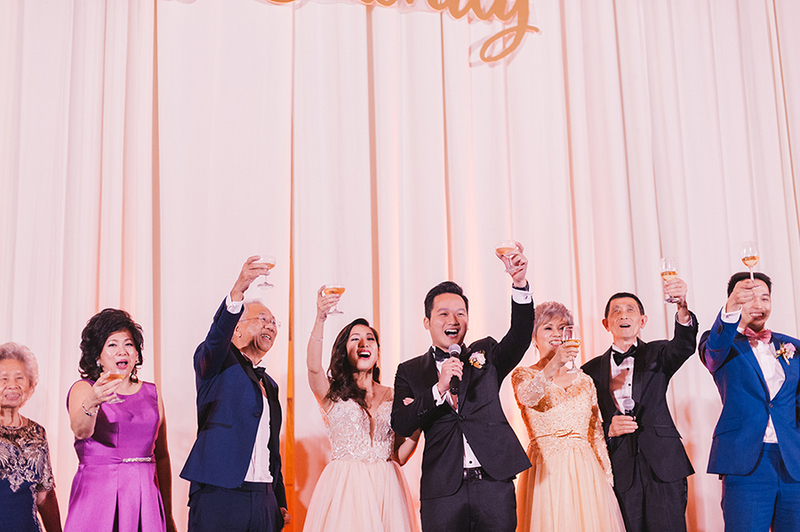 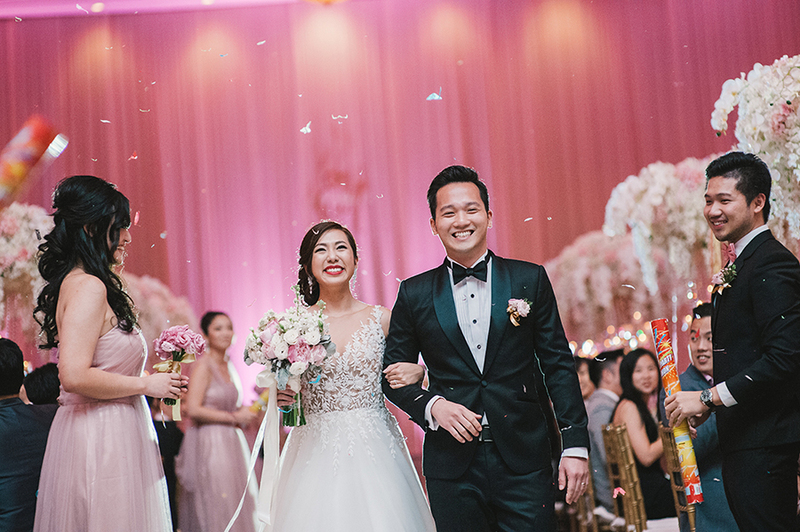 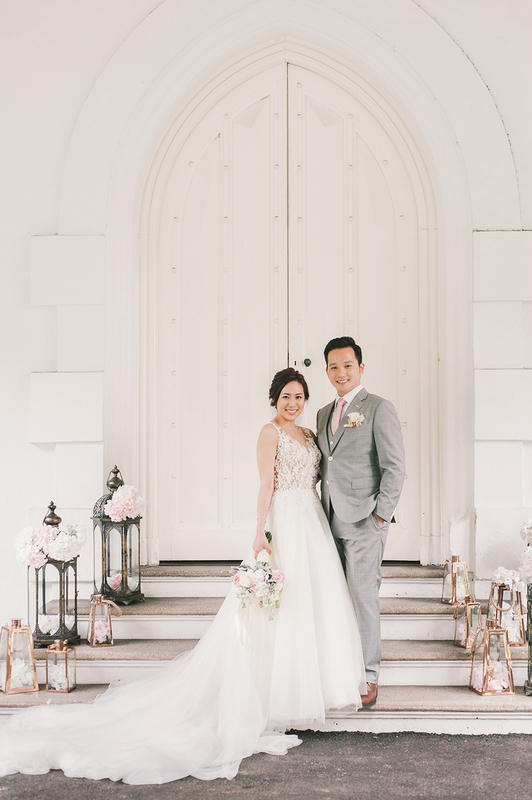 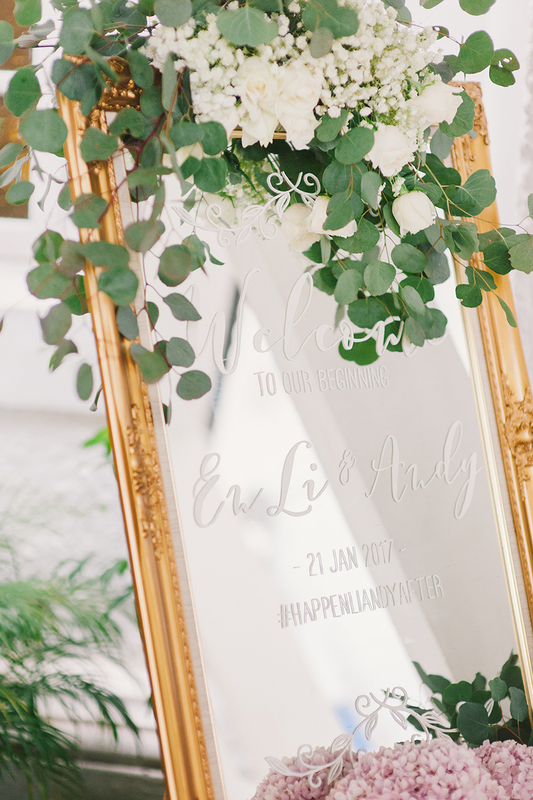 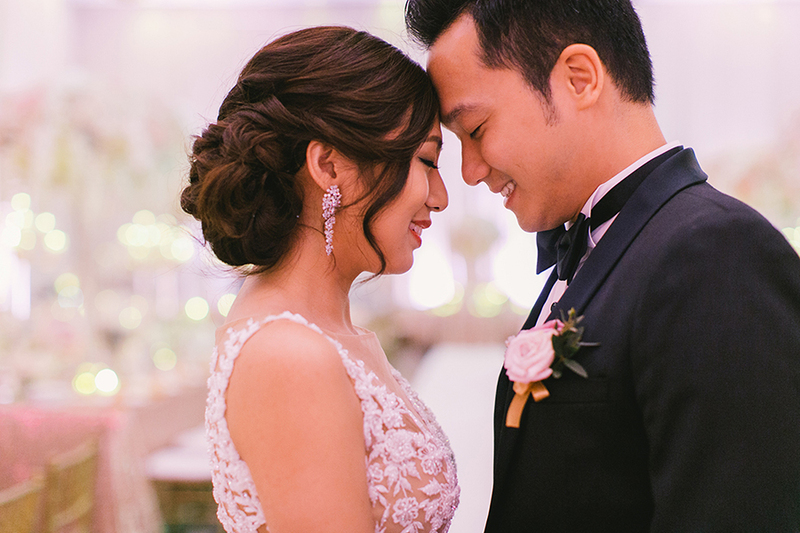 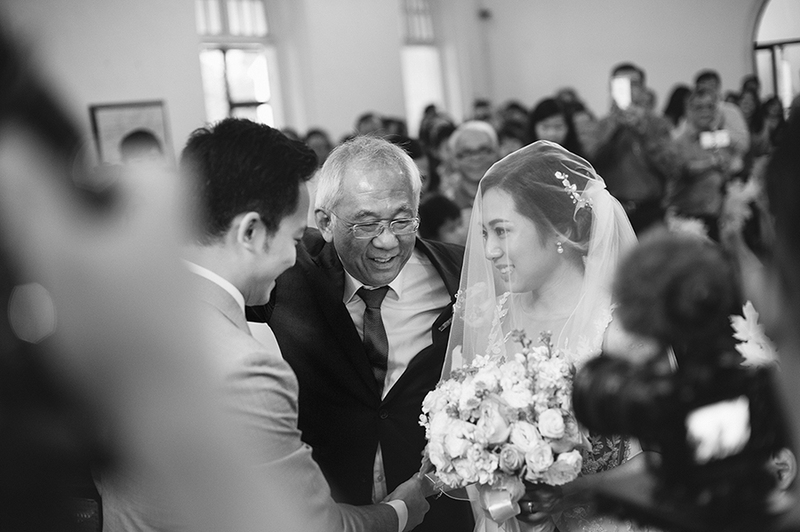 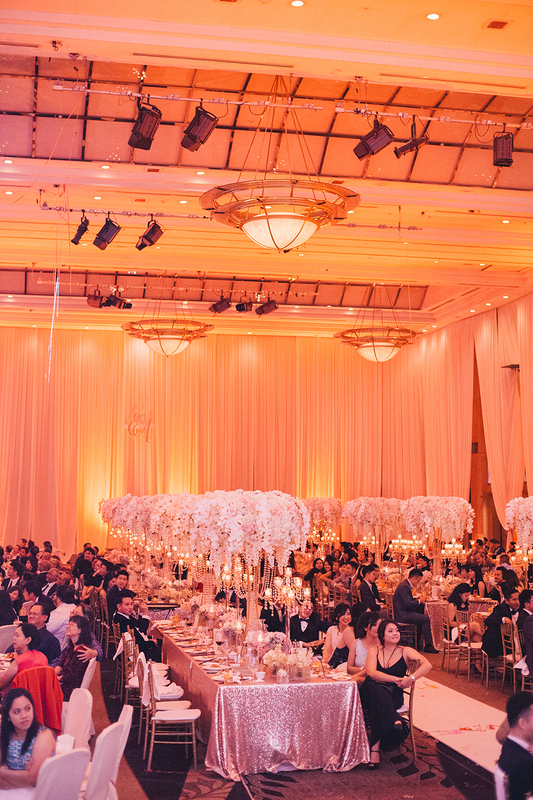 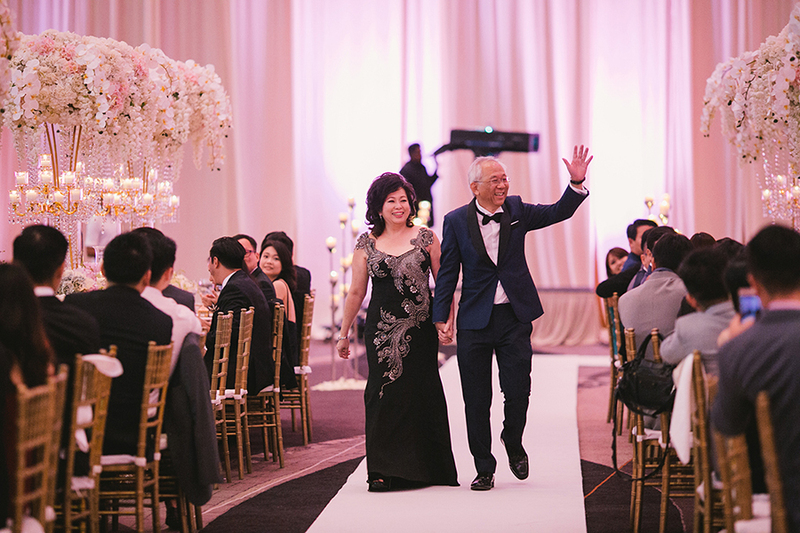 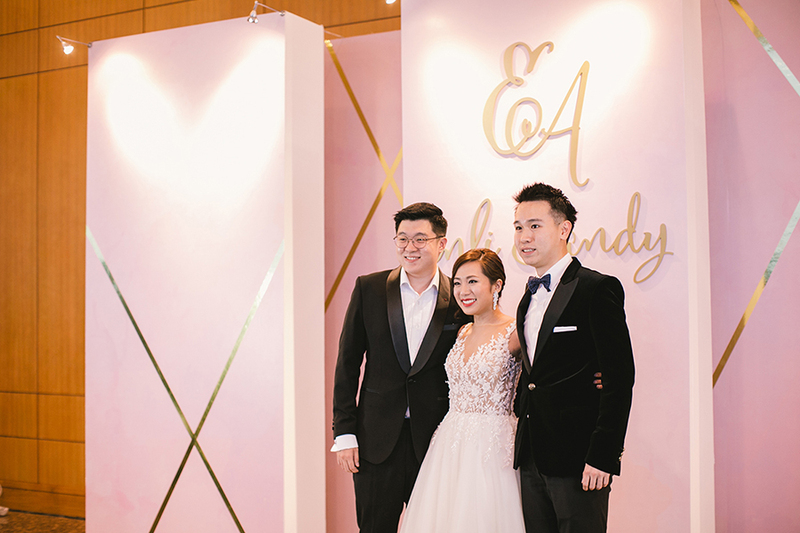 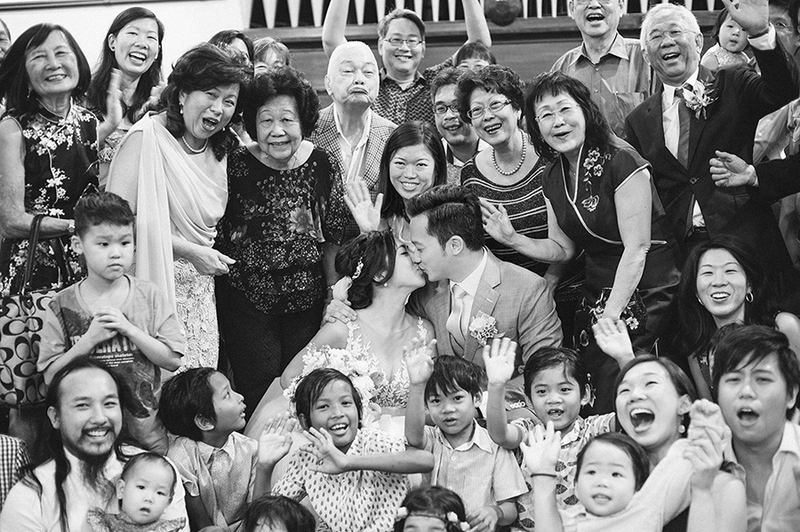 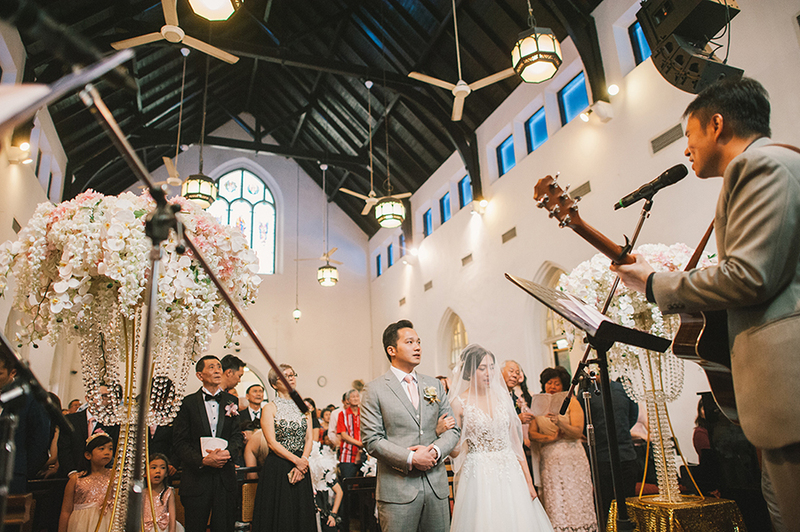 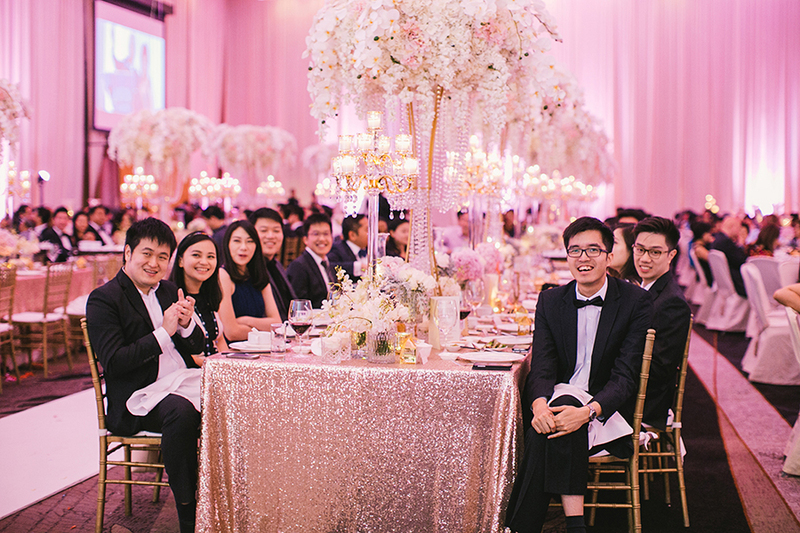 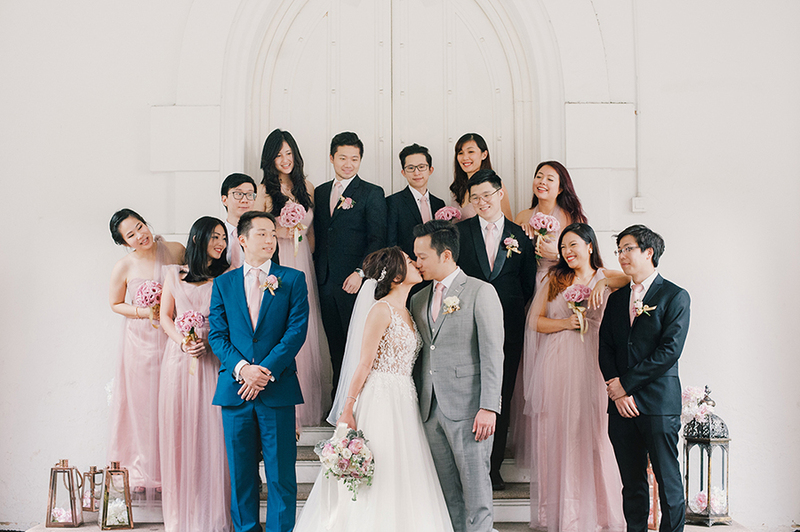 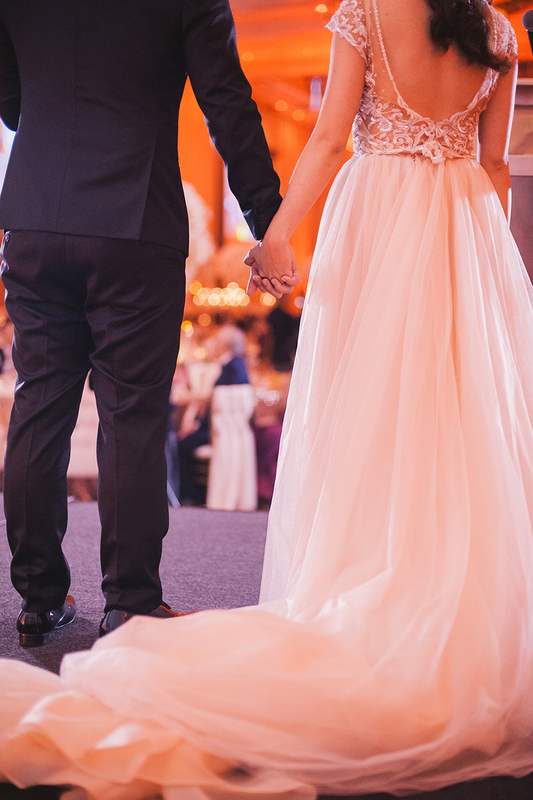 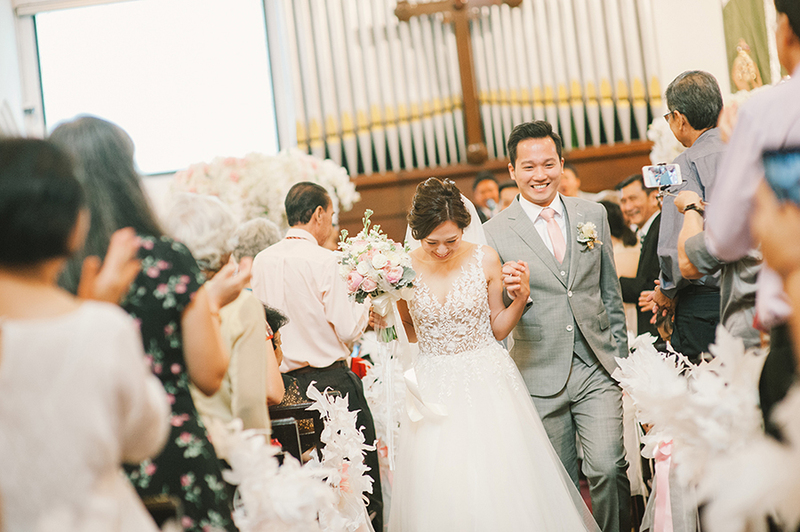 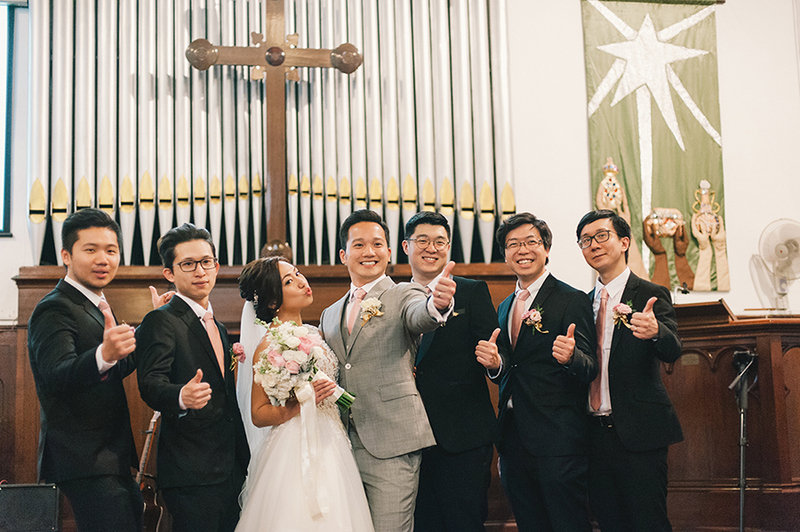 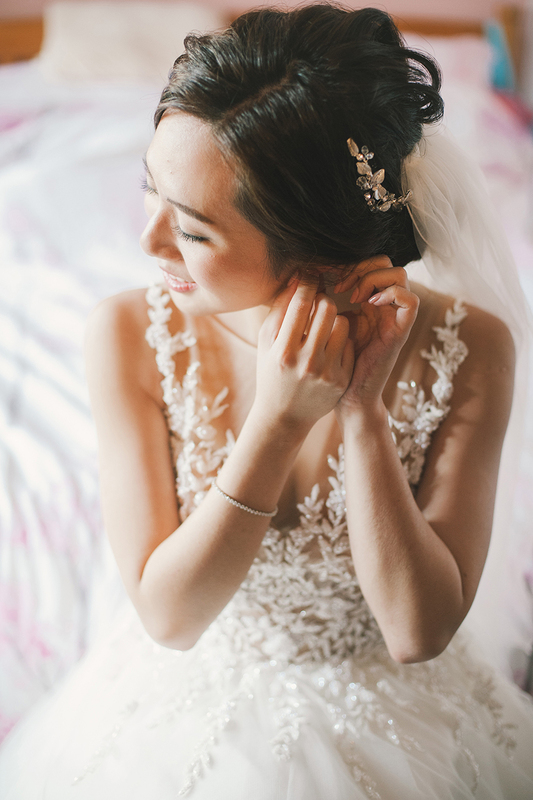 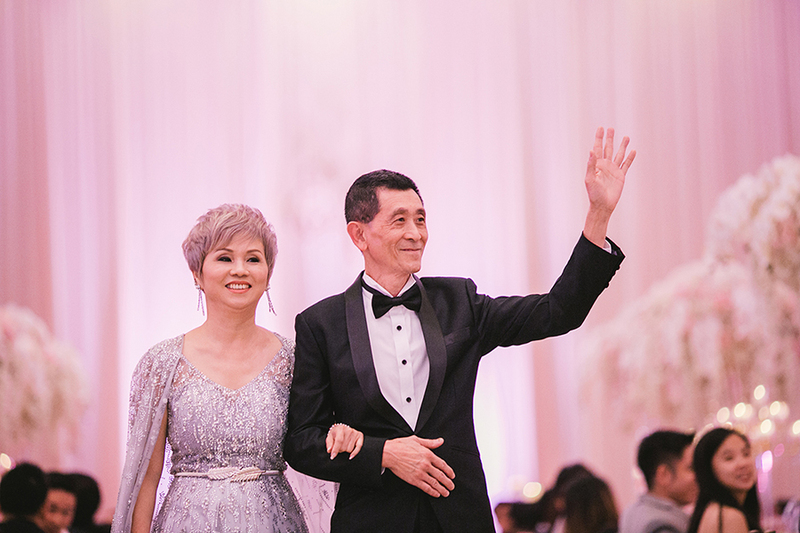 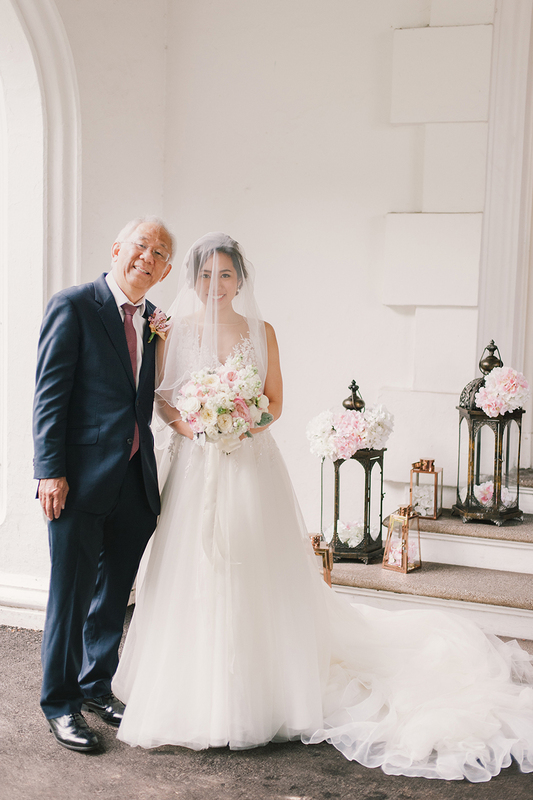 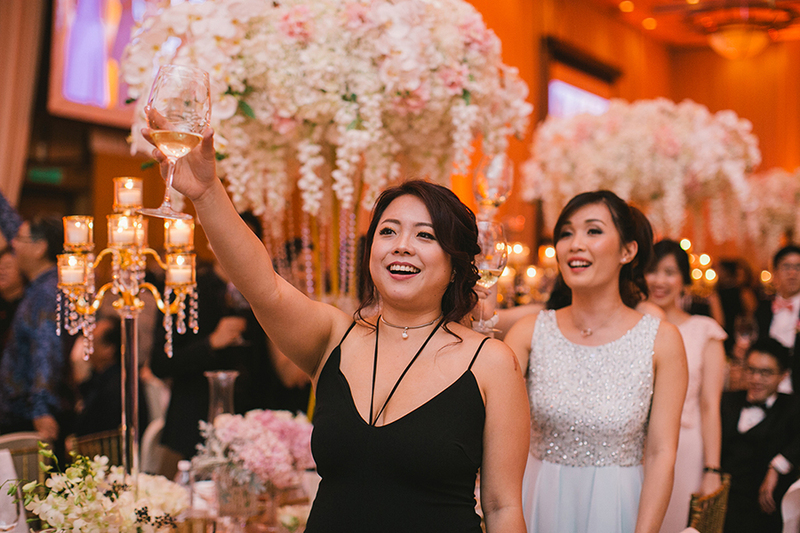 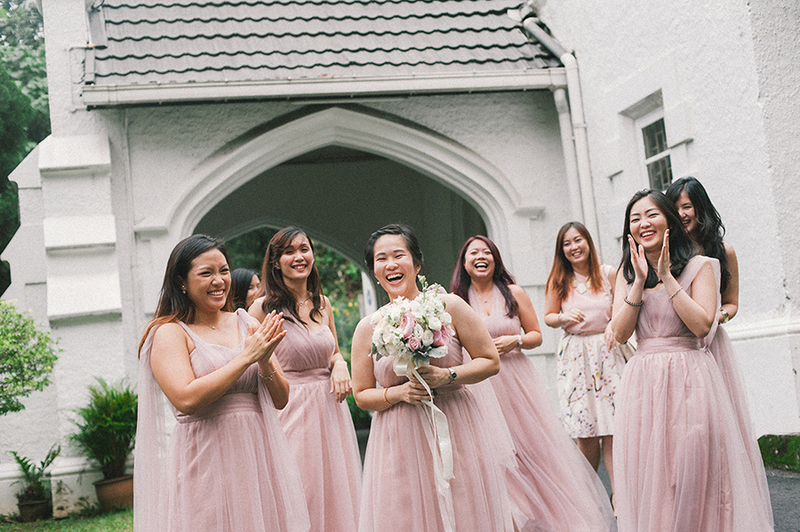 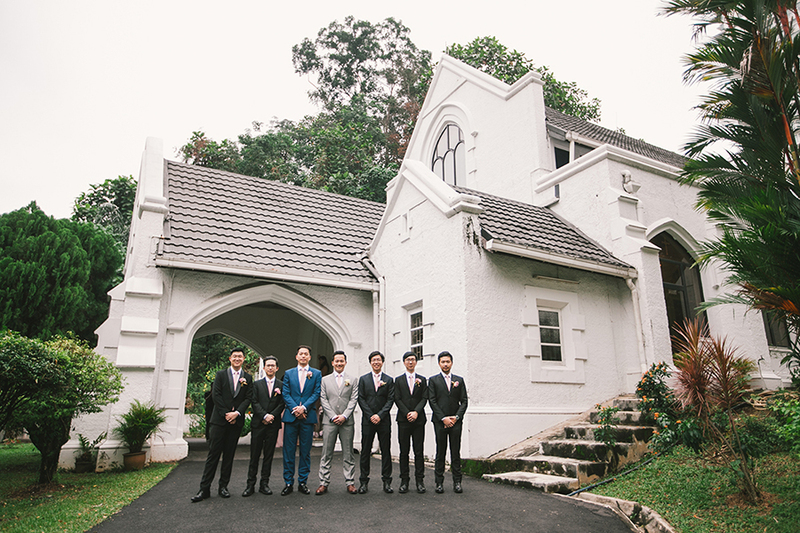 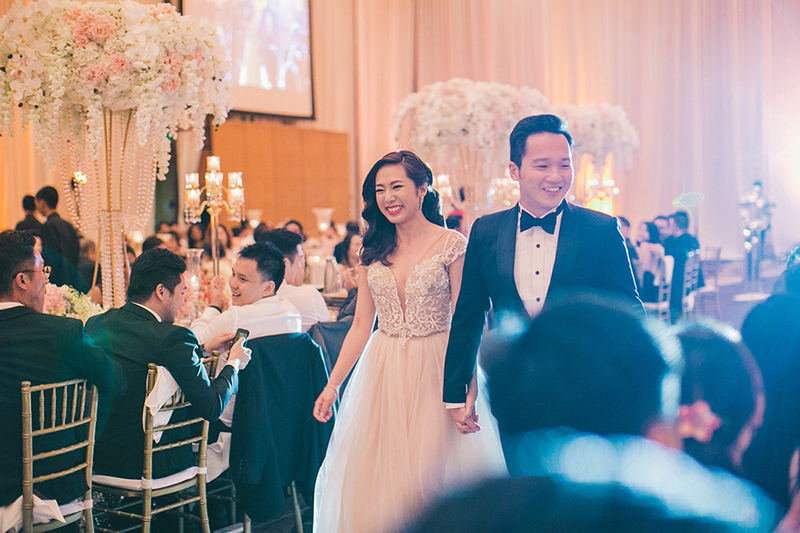 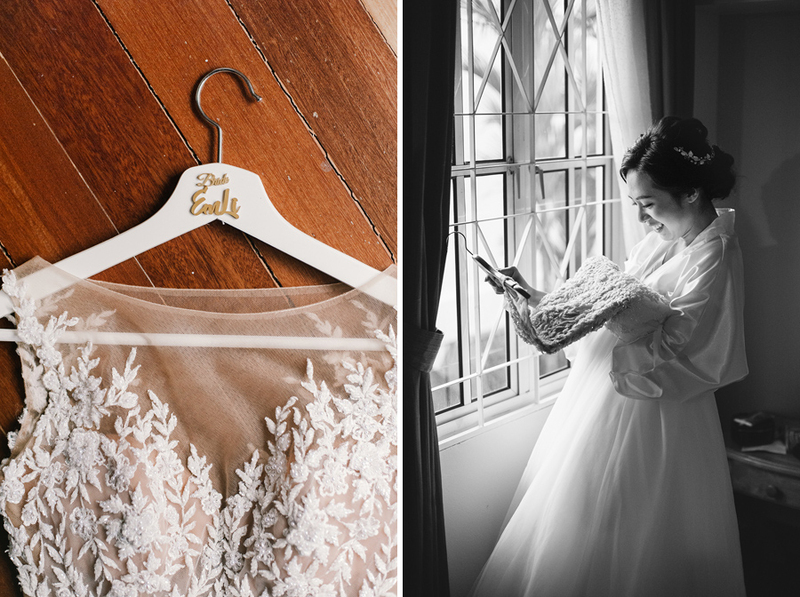 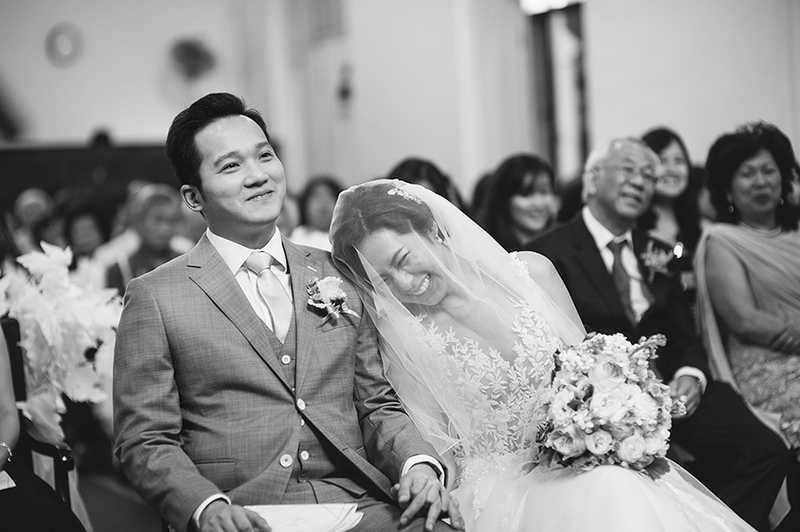 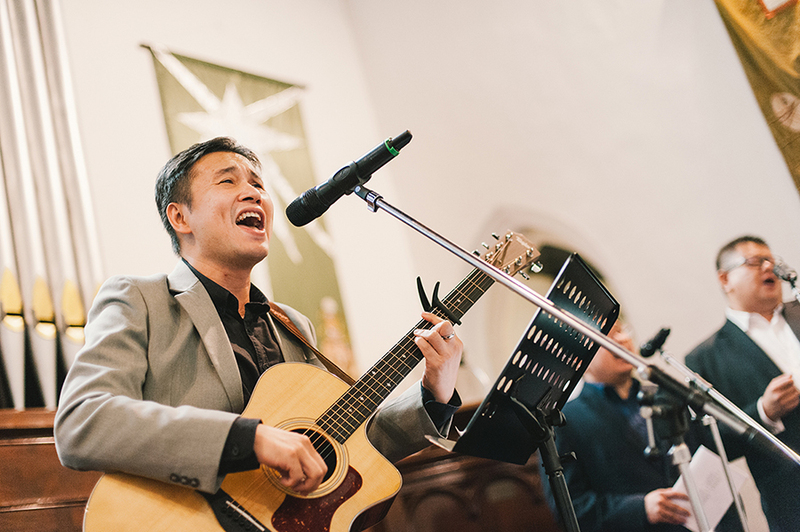 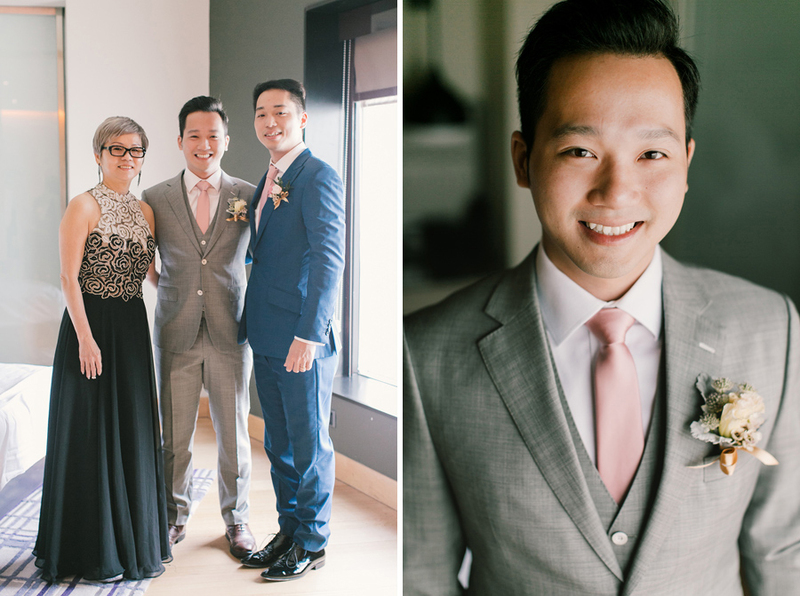 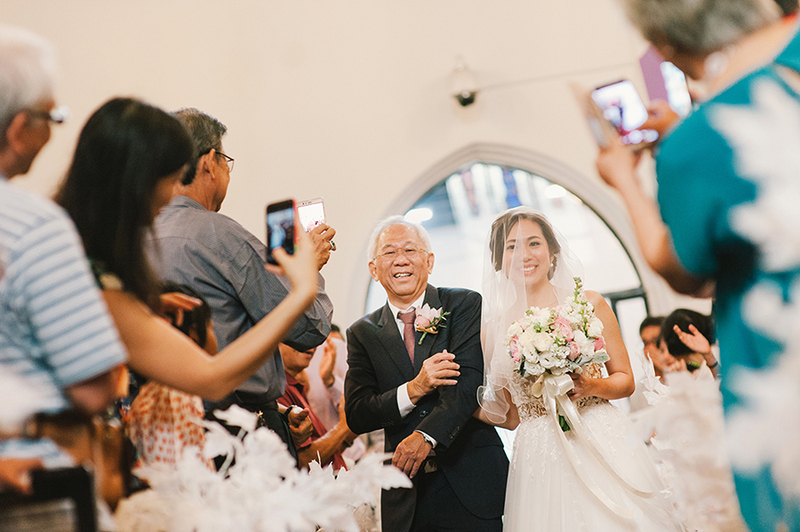 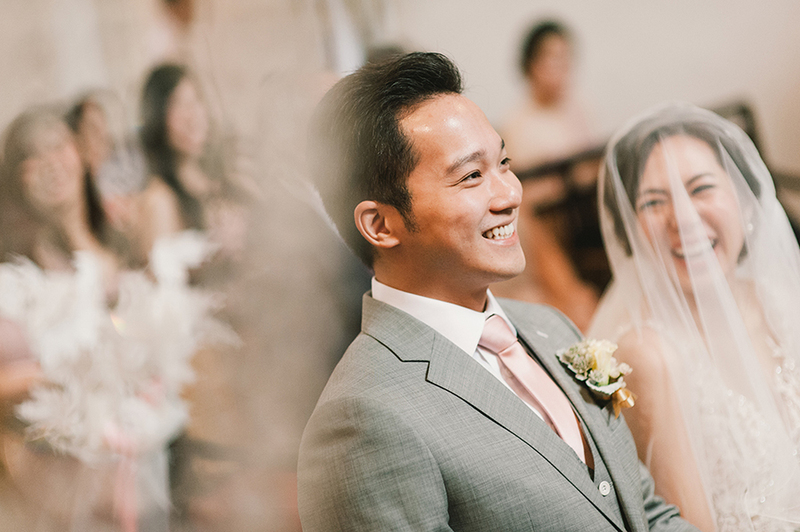 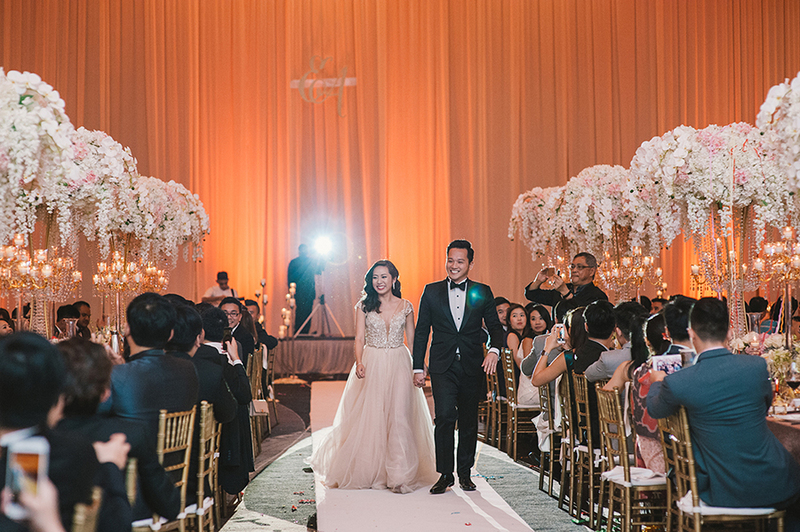 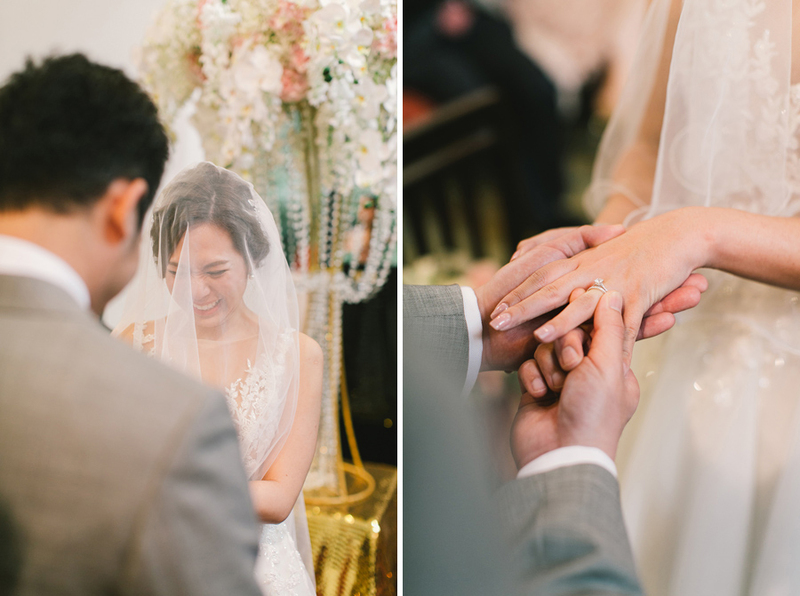 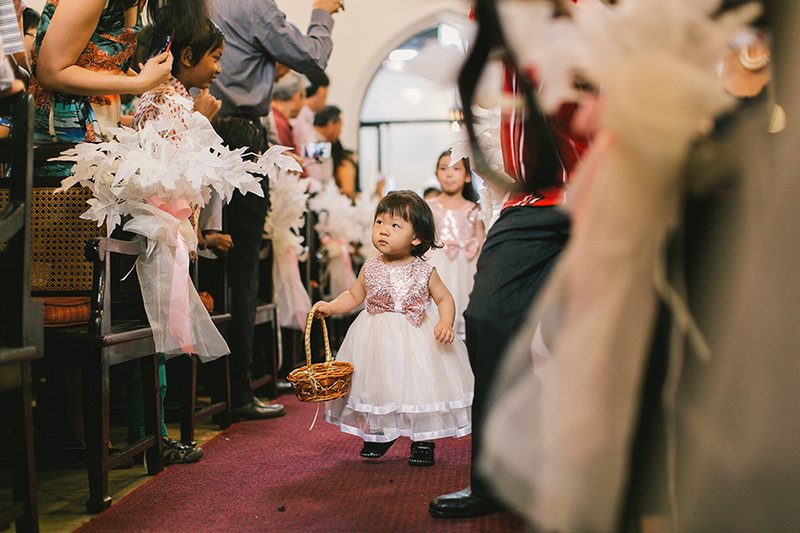 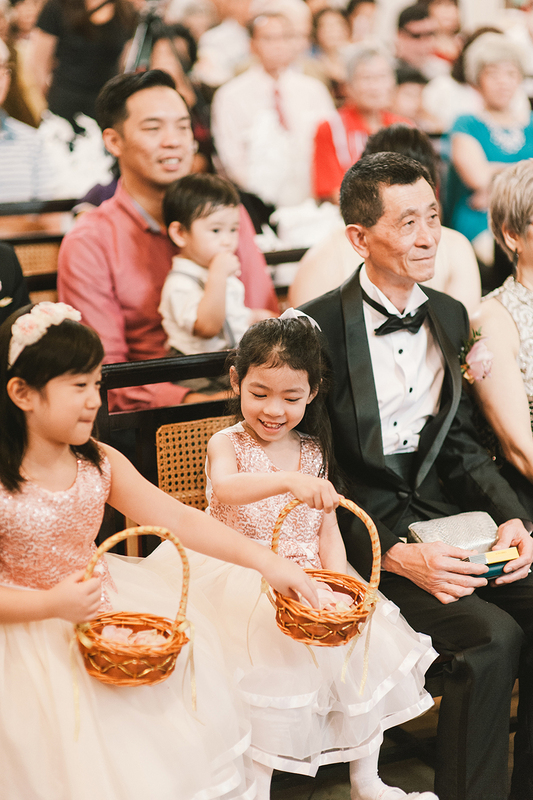 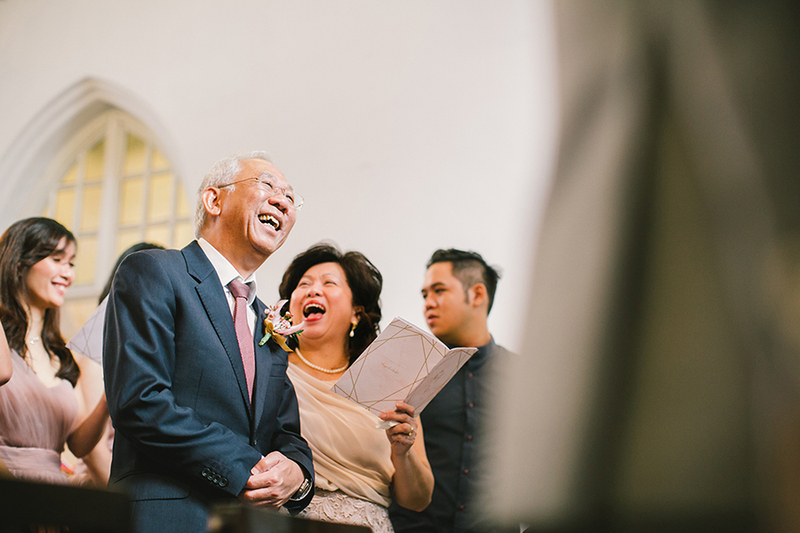 We saw and loved Andy and En-Li rustic Hong Kong ceremony, and today we’re taking you inside their church wedding and dinner reception at Hilton Kuala Lumpur. 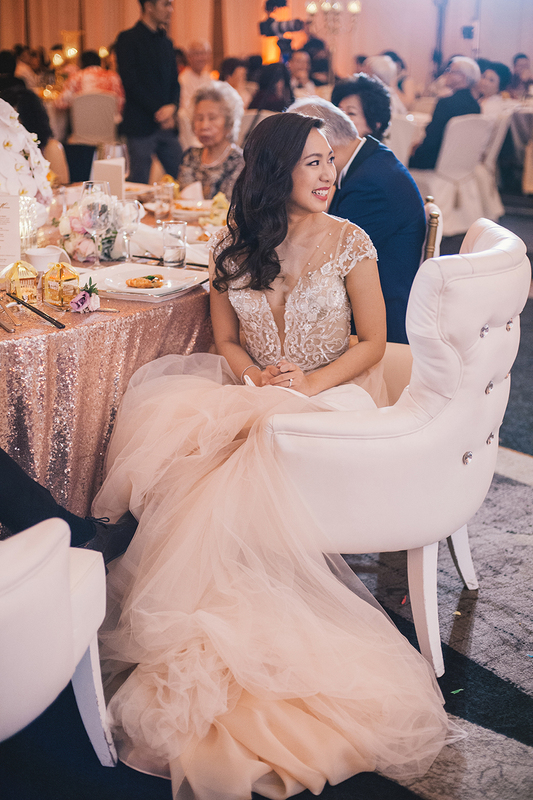 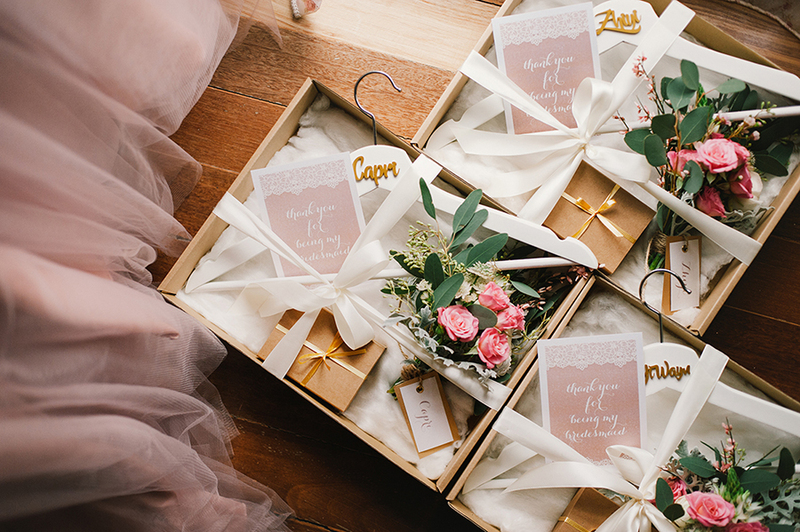 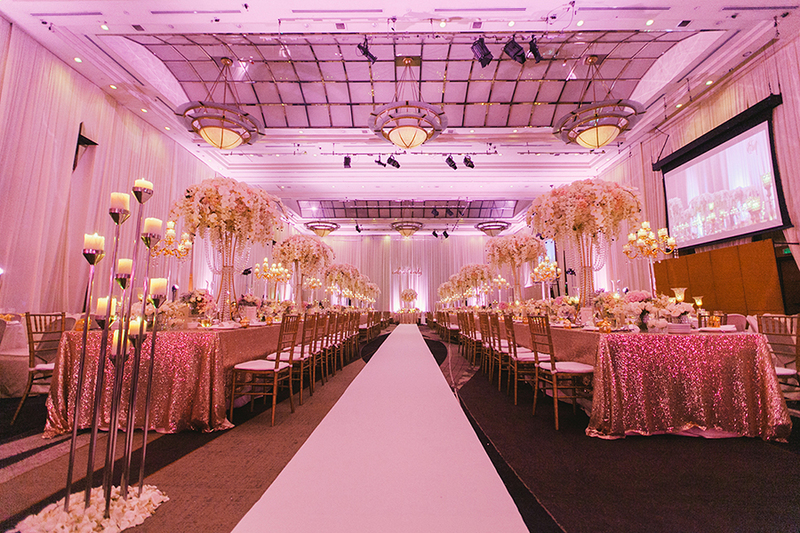 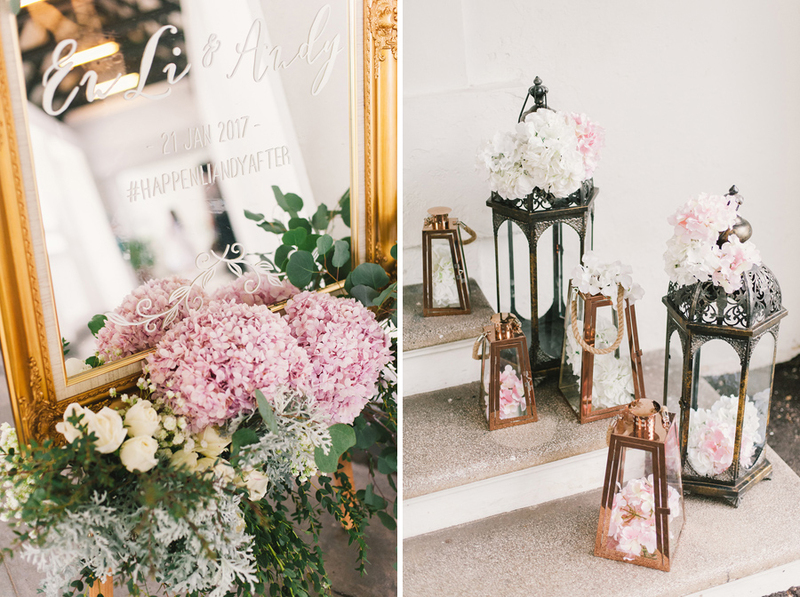 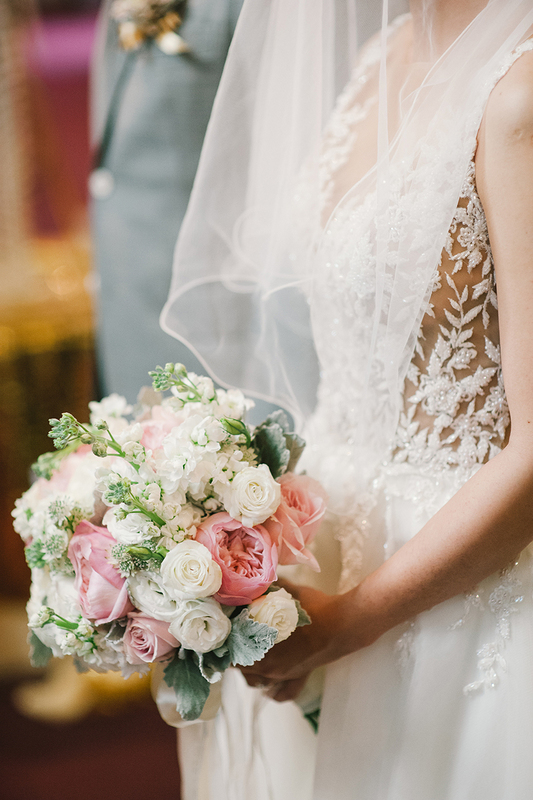 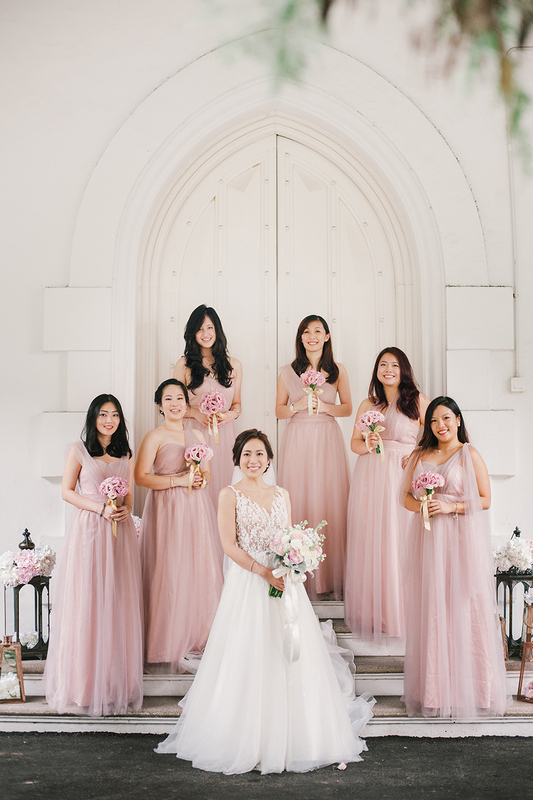 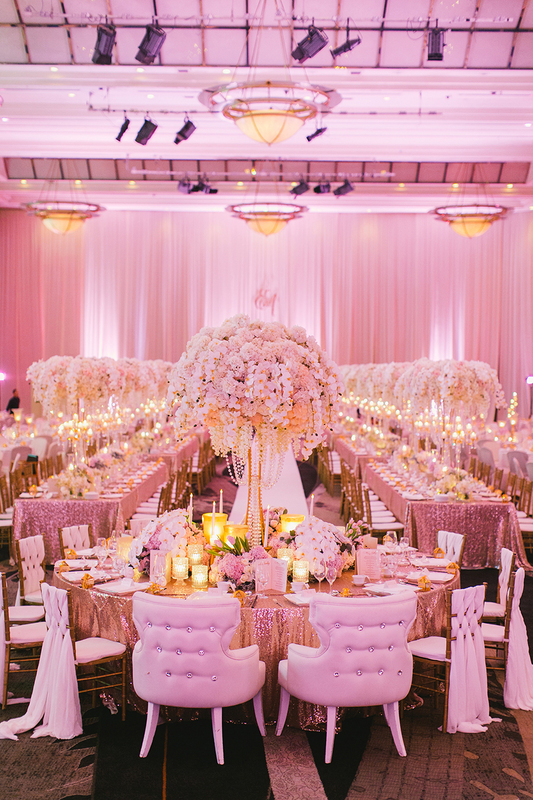 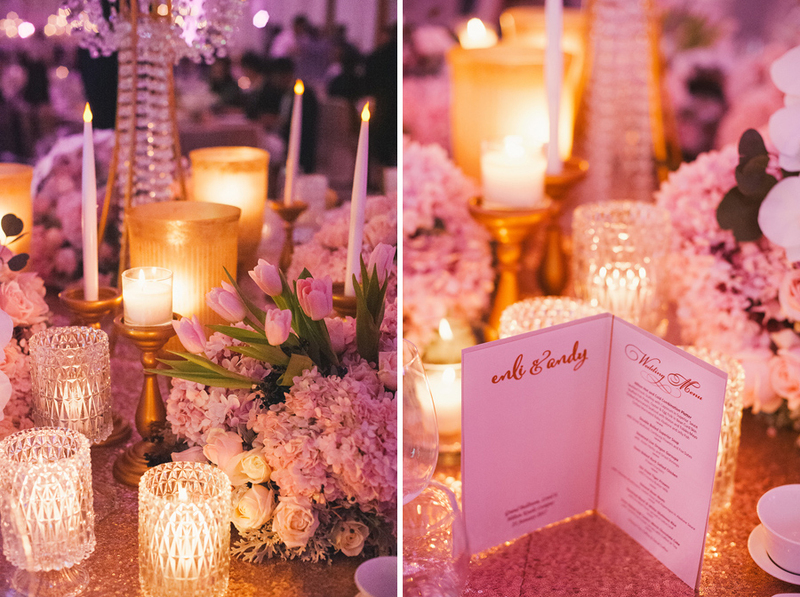 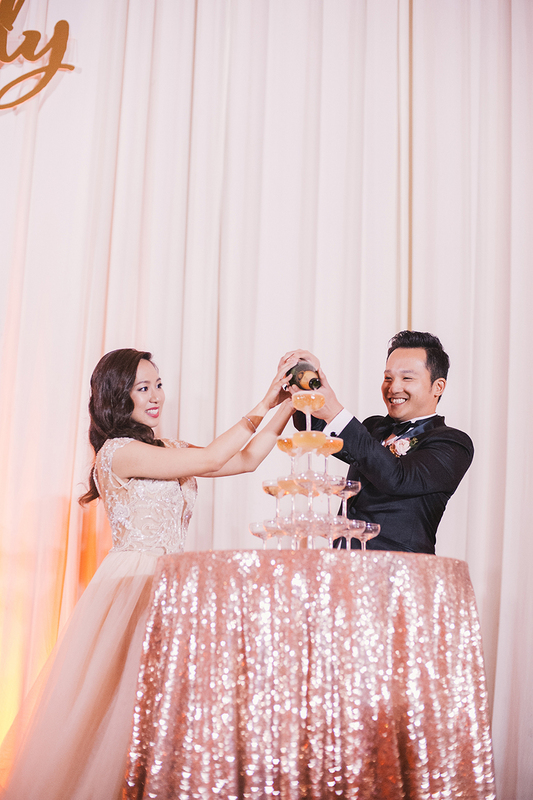 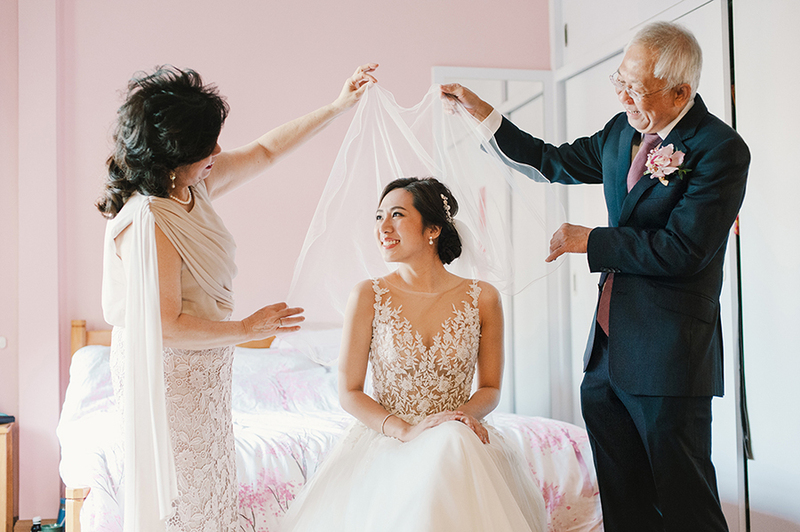 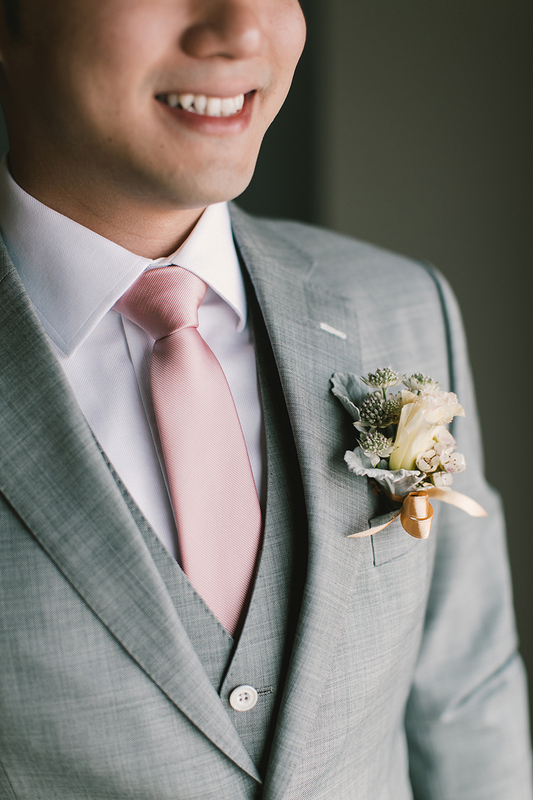 Shot by Munkeat Photography, styled by Wishing Tree and planned by MY Wedding Planner, their wedding incorporated touches of rose gold with blush tones. 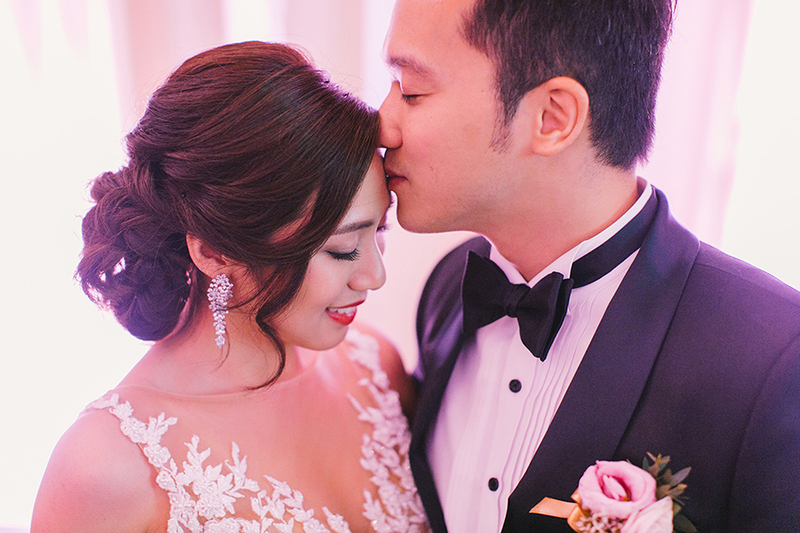 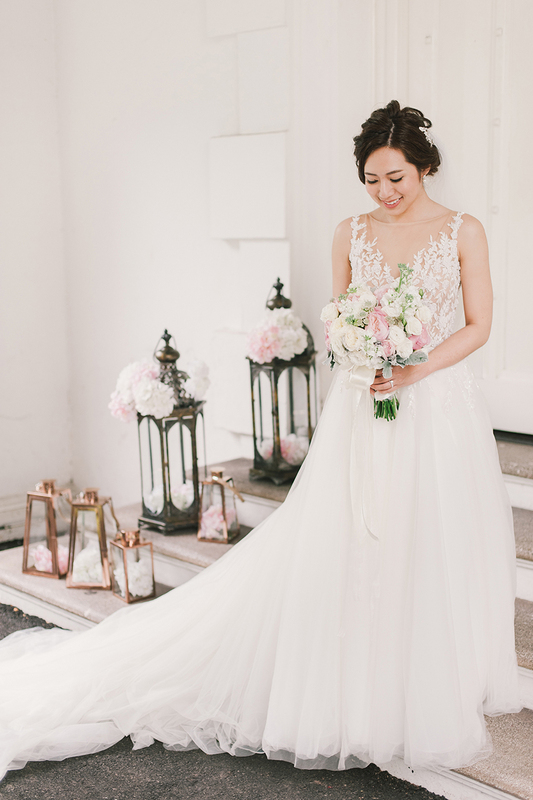 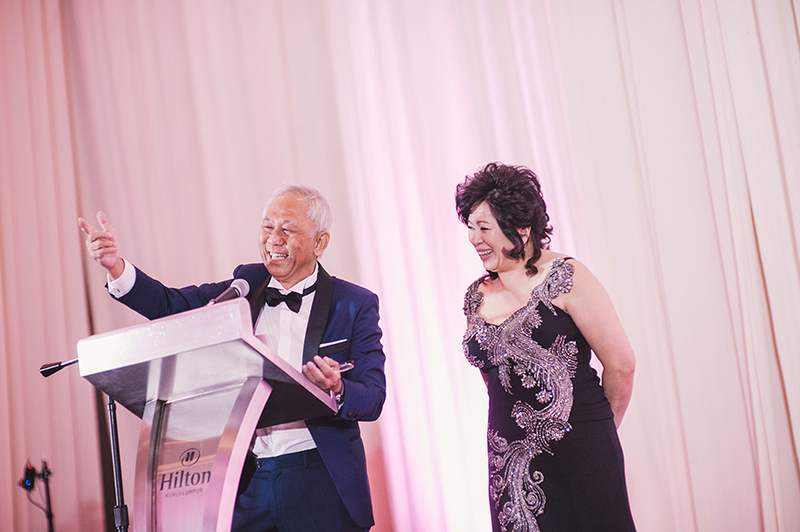 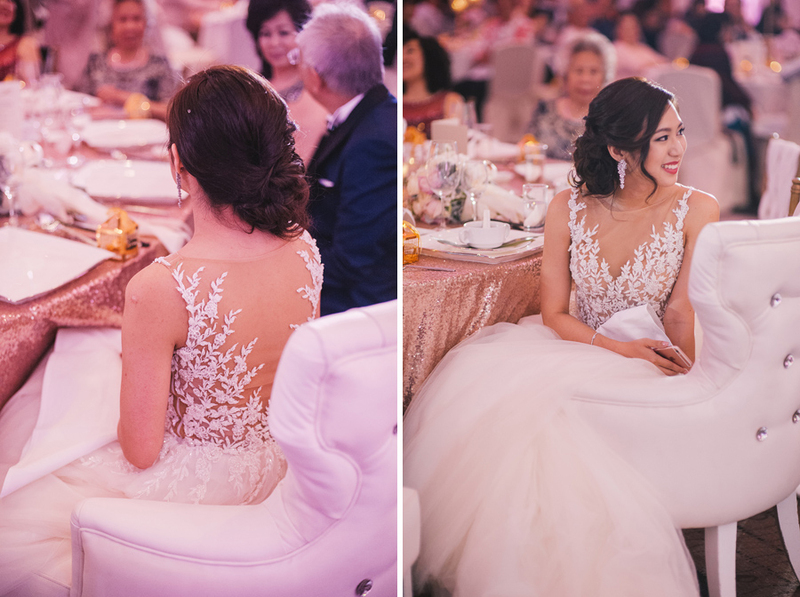 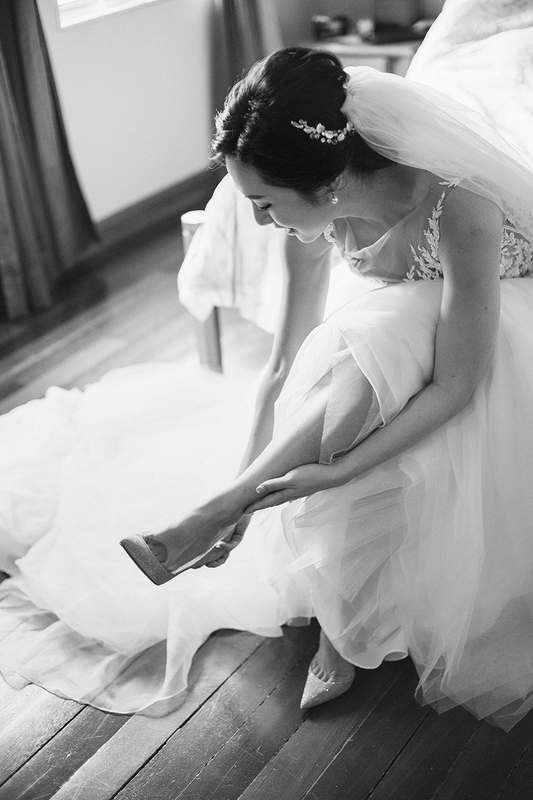 En-Li looked beautiful in a custom-made gown by Wedding Isle and an embellished evening number by GALA by Galia Lahav. 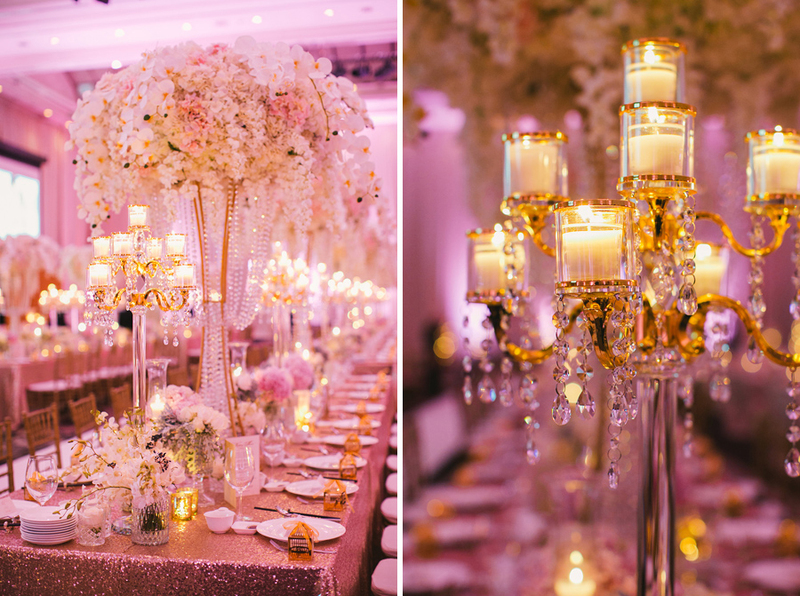 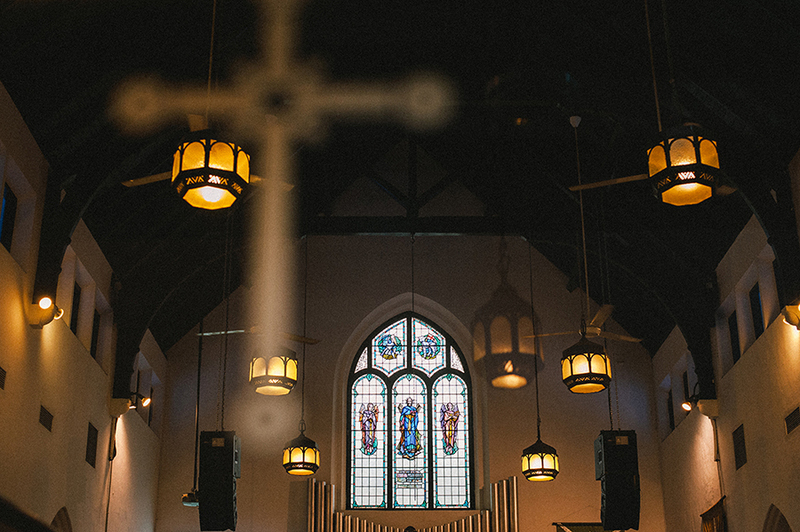 “A wedding doesn't have to be expensive to look good. 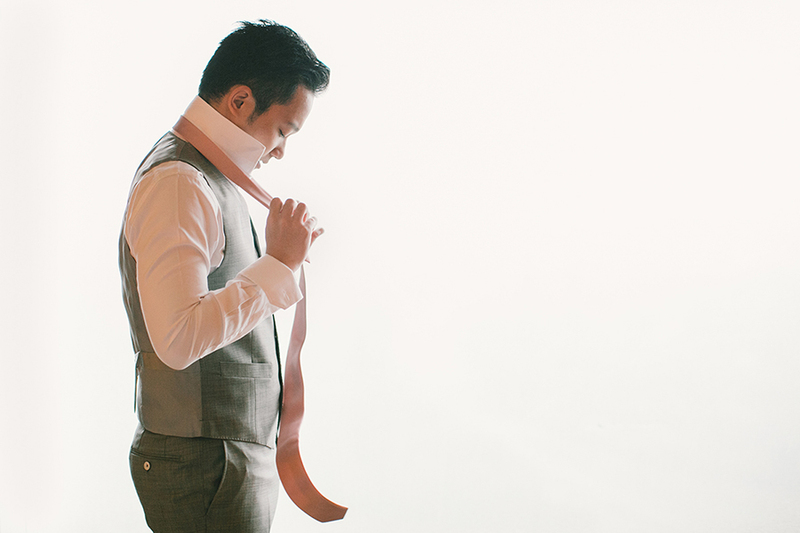 Choose the things that you splurge on, and save on the things that matter less to you. 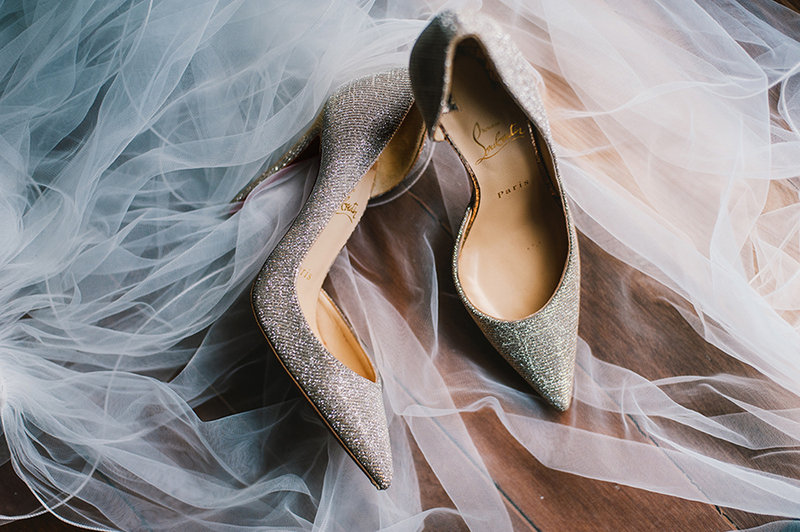 Spend on the things you know you will remember forever (En-Li would say shoes, but Andy will disagree). 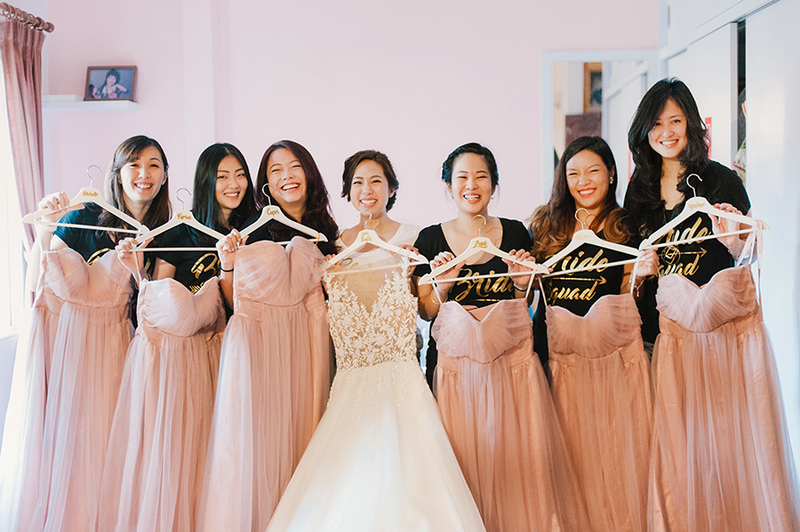 Also, don't discount the wonders of Taobao – even if you can’t read Chinese (like En-Li), Taobao is a lifesaver when it comes to cheap but awesome decorative accessories! 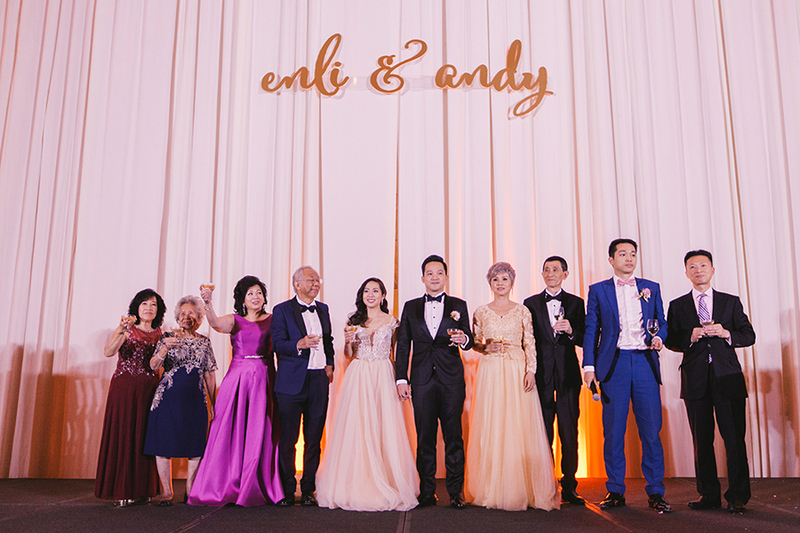 Congratulations once again on your marriage, Andy and En-Li!